With the help of image designing objects (text, pencil, arc, star, picture, ellipse, barcode, triangle, rectangle and many more objects), you can create professional ID cards for any type of business sector. By using ID card designing tool, you can create identity card without having any basic technical knowledge and without any expert guidance. 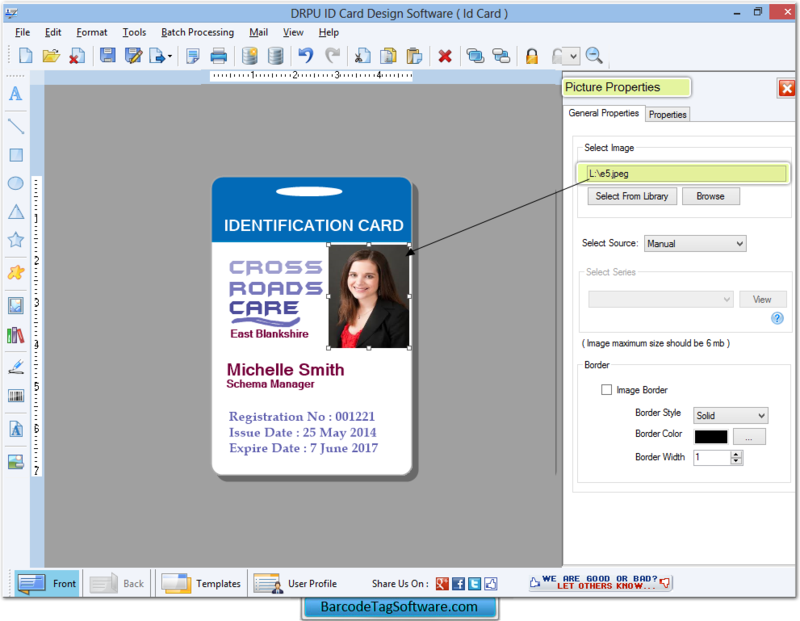 ID Card Design Software provides photo adding feature for ID cards, you can create multiples ID cards including Faculty id card, Student identity card, Employee identification card etc. By using ID card designing tool, you can create colorful, stylish and eye-catching identity card without having any basic technical knowledge and without any expert guidance. Now don’t waste your money on buying expensive ID cards from external sources to fulfill your needs, use ID Card Design Software and generate ID cards by yourself. Create advanced and professional ID cards for any type business sectors. Create new ID card image or edit existed ID card image. Provides advanced ID card designing view with different designing objects including text, line, arc, star, pencil and other objects. Create ID cards in different shapes including rectangle and ellipse shapes. Print ID card image using advanced print settings. Insert your photo on ID card during ID card creation process.